The High Heels wedding church in Aquarius with Scorpio. 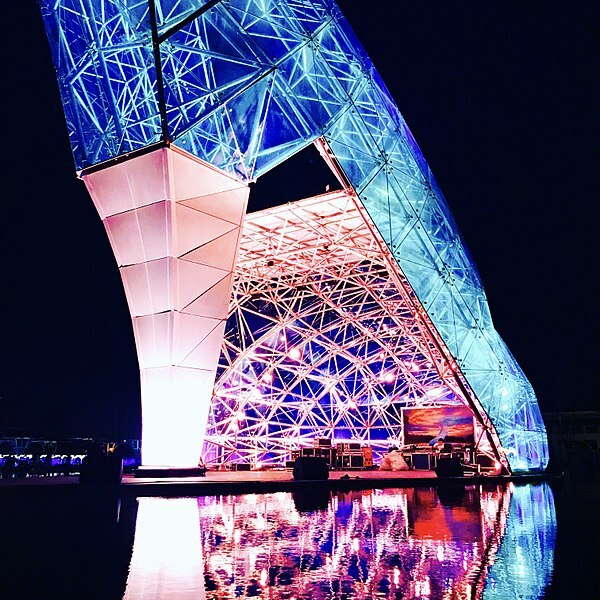 Astrology, architecture, art and sculpting: the “Shoe Church” in Chiayi, Taiwan as an experiment with the confrontation of idealism (Aquarius) with traumatic issues (Scorpio). Related articles: Scorpio as the sign of sculpting, Architecture & Astrology: the polarity of Aquarius with Scorpio. 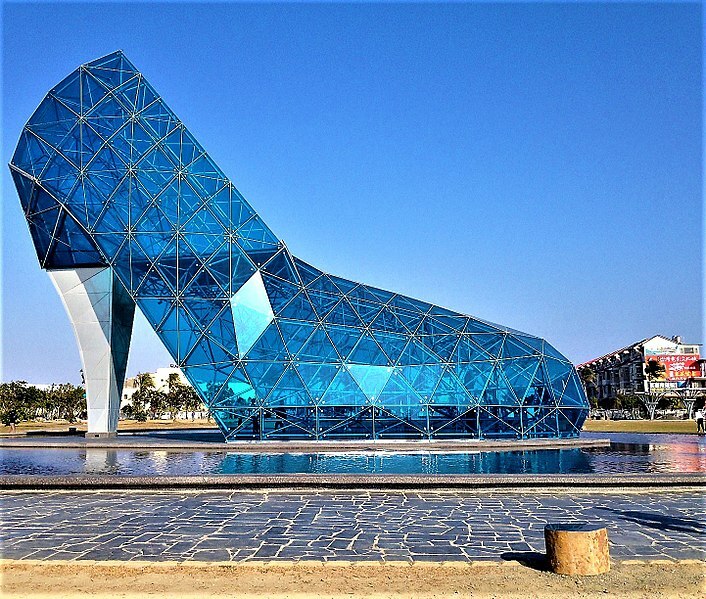 The “Shoe Church” in Chiayi, Taiwan was inaugurated on 8 Feb 2016 with Sun-Moon conjunction (new moon) in Aquarius in exact square to Mars in Scorpio. The building is 17m tall, The building sculpture is 12m wide and 25m long and was constructed to commemorate the blackfoot disease outbreak in the 1950s a disease caused by water pollution through arsenic poisoning. The effects of the mass poisoning often led to amputations of the feet. The high-heel motif is said to represent the message that instead of that incredible disease of the feet young women can nowadays rise to modern life with high-heel shoes from that past traumatic darkness. Astrogeographic position for morphogenetic field level 4 (exact adress) which describes the topics of the building itself: located in creative innovative air sign Aquarius sign of the sky, heaven, paradise, solutions, reconnection, revolution, emancipation, liberation, self-finding and confrontation of negativity. The transparency of the glass building that allows seeing the open sky from within the building and also the highy-heels are elements that clearly resonating with central topics of Aquarius. The 2nd coordinate is located in water sign Scorpio sign of trauma, pain, amputation, poison, transformation, sculpting, imaging, visualization. Scorpio relates to the “building as a sculpture” motif and of course the traumatic memory of the historical problems of water poisoning and its dramatic consequences. The combination of Aquarius with Scorpio (Uranus-Pluto topics) strongly resonates with the protest against environmental pollution.